I’ve said this many times before but one of my favorite parts of food blogging is the awesome friends that I have made. Nashville has a really great network of food bloggers who meet on a regular basis and are all very supportive of each other. I am very grateful for that and can’t imagine doing this without that support system. One of these awesome food blogger friends is Caitlin from the Grassfed Girl. 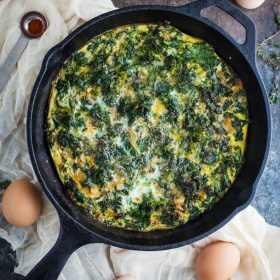 Her blog is a paleo focused blog and it’s AMAZING. She has SO many great resources and recipes on her blog. She also has several great cookbooks. 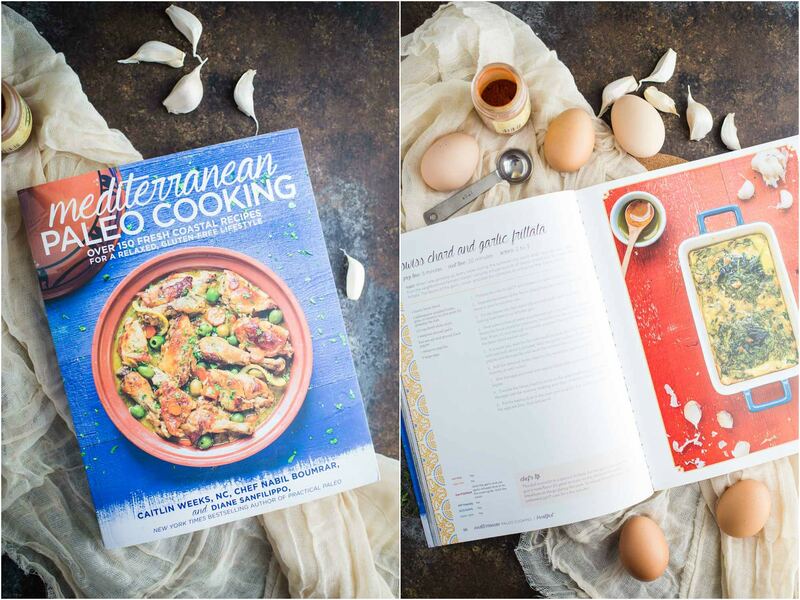 Her most recent cookbook, Mediterranean Palo Cooking is SO GOOD. The recipes were developed largely in part by her husband who is a long time chef and, of course, ALL of the recipes are paleo approved. This cookbook is amazing and I can’t wait to try out pretty much every single recipe in it!! If you’re interested, you can get the cookbook on amazon. 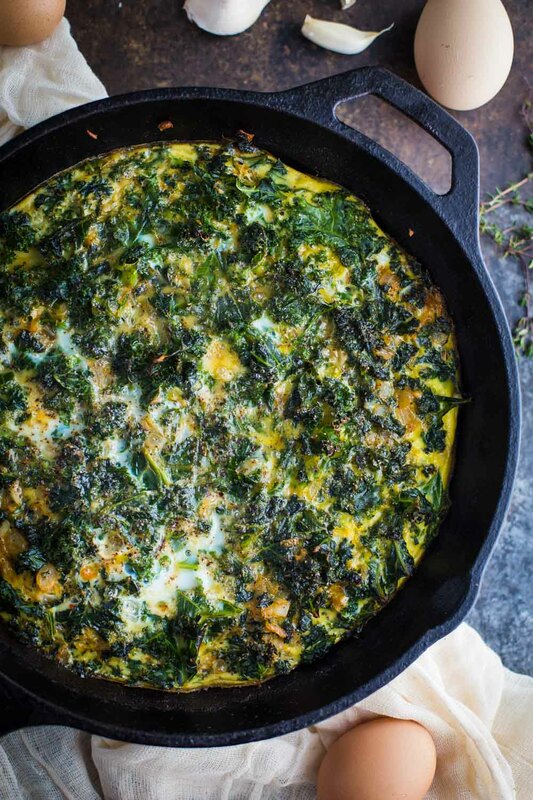 Our recipe today is a slight adaptation of her Swiss Chard and Garlic Frittatta. 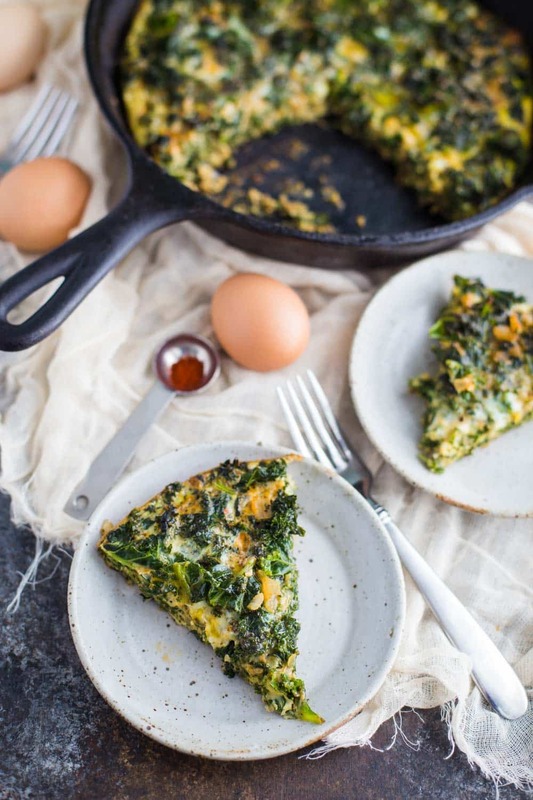 I’ve been really into swiss chard lately and would LOVE to have made this with swiss chard but I simply couldn’t find any :/ There are a lot of great grocery stores in the Nashville area but none of them are super close to our house. So, we’re using kale today instead. This recipe is super easy! 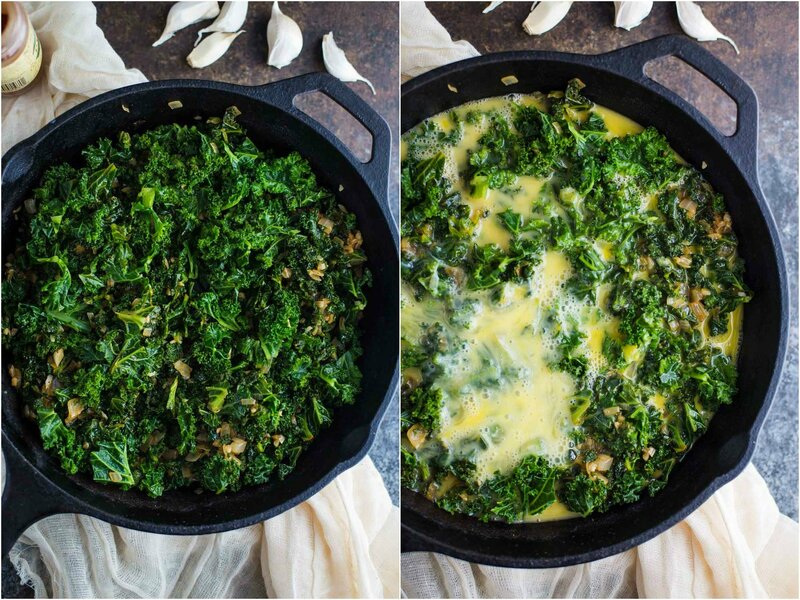 Just steam some kale and then toss it in with some sautéed onion and garlic and pour beaten eggs over top. Then bake it for about 10 minutes and you’re done! Pre-heat the oven to 350 degrees F. Grease a 2 quart baking dish. Cut the kale into bite sized pieces. Heat a few inches of water in a steamer pot over medium-high heat and steam the kale for 5 minutes. Remove from heat and side aside to cool. In a suate pan, melt the butter over medium heat. Add the onion and cook until it becomes soft, about 3 minutes. Add the garlic, a bit of salt & pepper, and the paprika. Cook for an additional 2 minutes. Add in the kale, stir, and saute for 2 more minutes. Beat the eggs in a medium bowl and season with S&P if desired. 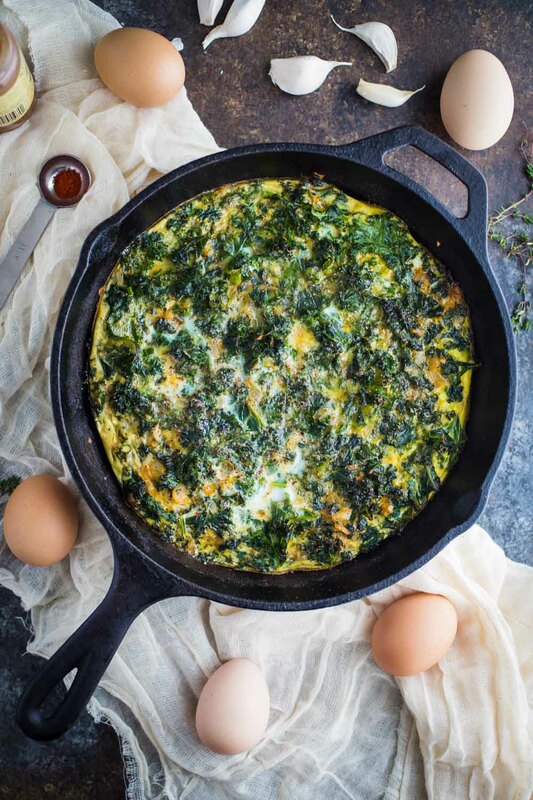 Transfer the kale and onion mixture to the prepared baking pan and then pour the eggs over top of the kale, covering it evenly. Bake for 8-10 minutes until the eggs are firm. Let cool slightly, slice, and serve.